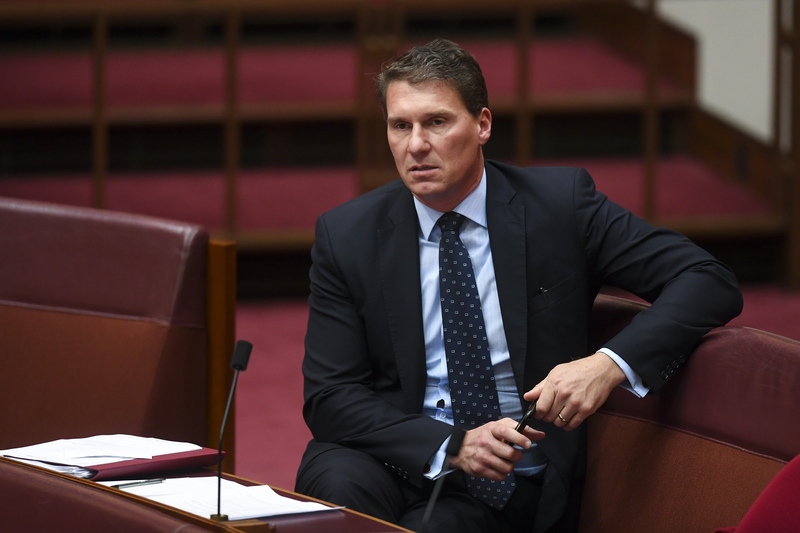 Conservative Party leader Cory Bernardi has teamed up with Senator Pauline Hanson to successfully thwart a parliamentary bill which would have altered the way Australia treats sick refugees on Manus Island and Nauru. The bill, initially introduced in the Senate by Independent Kerry Phelps, would have allowed any person on Manus or Nauru to be transferred to Australia for medical treatment, if two doctors agree that the transfer should occur. Greens, Labor and independents on the crossbench have described the proposed bill as a fairer and faster way to transfer refugees and their families to Australia for medical help. The plan was to push the bill through the Senate, forcing a debate in the House of Representatives, where those in support of the bill had the numbers to defeat the government. But in a series of controversial moves, conservative Roman Catholic and second generation Italo-Australian Bernardi stalled passing of the bill on the last day of parliament for the year. Bernardi attempted to suspend standing orders twice, and voted differently on each government amendment made to the bill. He was joined by Senator Pauline Hanson, who also attempted to suspend standing orders, as well as Minister for Finance and the Public Service Mathias Cormann, who said “we should not be dealing with this bill until the proper consideration of the Senate has taken place”. Bernardi’s time-wasting tactics sufficiently delayed movement of the bill to stop it being passed at least until February of next year. Bernardi’s “filibuster” provoked outrage on social media, with one commentator stating “all Australians should take note of what Cory Bernardi is doing in the #senate”. Phelps, who was elected in October in the Wentworth by-election and who is a doctor herself, has previously told the Guardian Australia that “we need to put medical decisions for asylum seekers into the hands of clinicians rather than bureaucrats”. “We have a medical and humanitarian crisis on our hands and something needs to change,” she said.